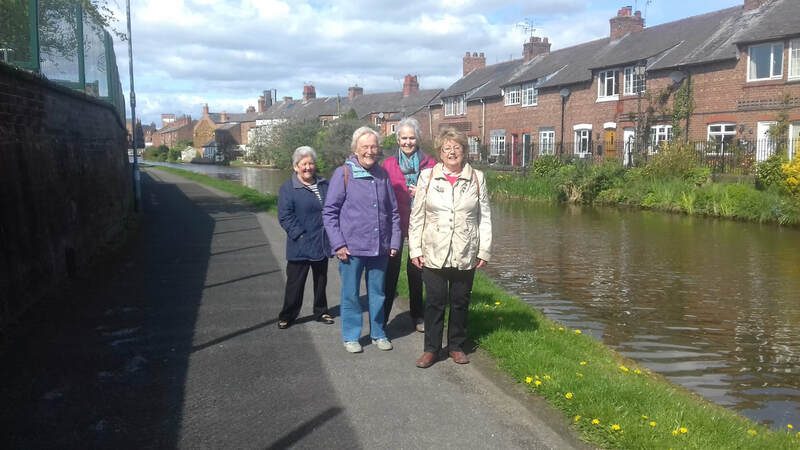 Today, on the first day of May , the amblers enjoyed a short walk along the canal , after parking at the carpark near Aldi. This was followed by a coffee and warm scones in the Artichoke Cafe, very much enjoyed as the following pictures show. There were only 4 of us on our walk today. 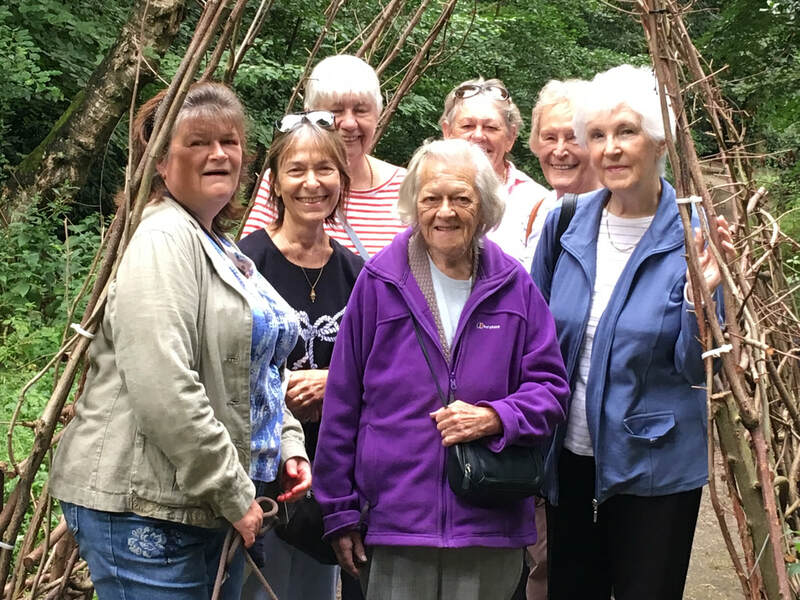 It was a trip down memory lane as we walked the figure of eight lanes around Duddon admiring the cow parsley, the local gardens etc. At one time we did this walk monthly and ended up supporting the local coffee morning. Alas, these regular coffee mornings stopped a few years ago. 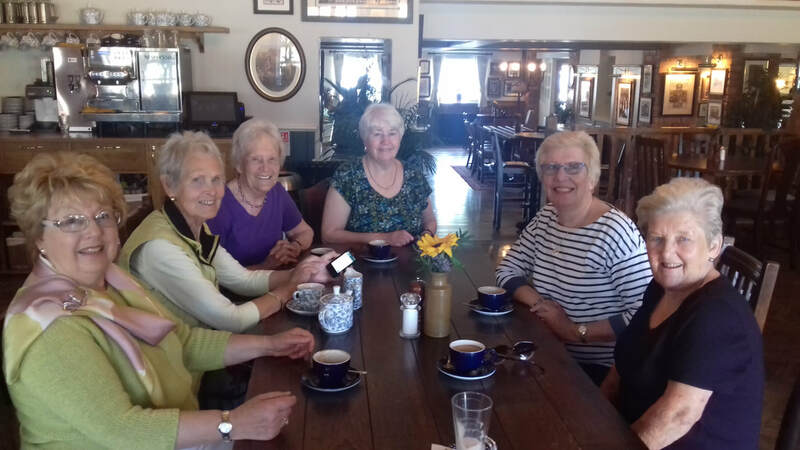 Needless to say we didn't miss out today as we went to Okells and enjoyed both the coffee and the wide ranging conversations ! 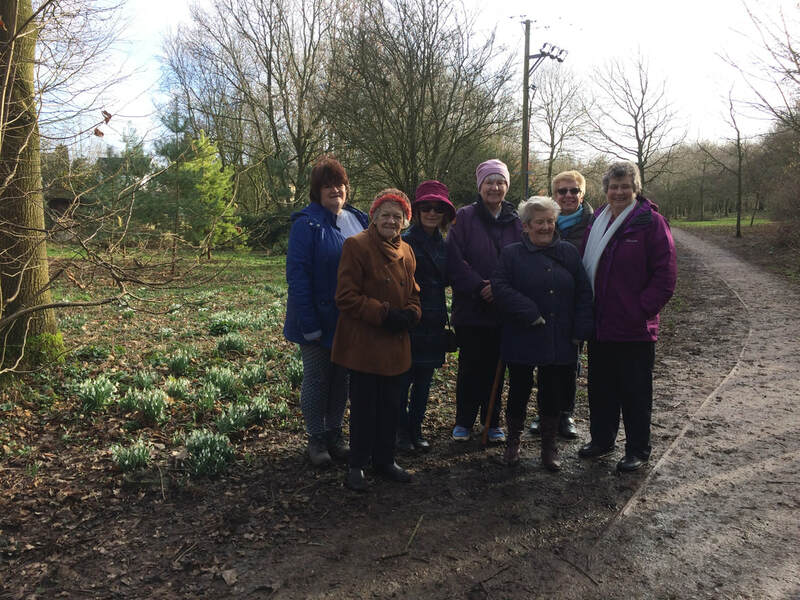 Today ,Trish led the amblers on a lovely walk around Castle Park in Frodsham . Most of the walk was in the shade, although the heat of the last few weeks had dissipated. 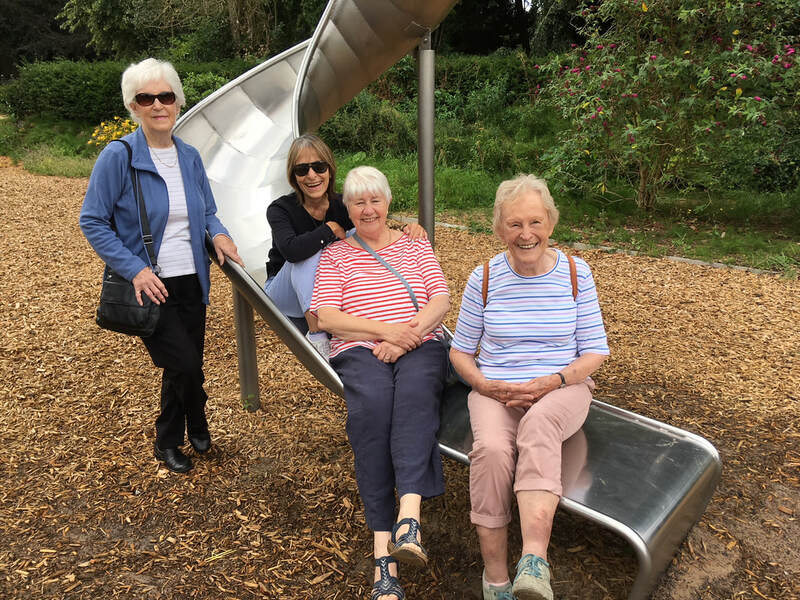 Two dogs accompanied the walkers, and a good time was had by all , especially in the children's playground, as the following pictures show! The walk was followed by coffee in the outside courtyard area, and there were also a few shops and a gallery to browse around, for those in the mood to spend. A very enjoyable morning! The amblers decided to have a summer celebration lunch this year instead of a Christmas lunch. 31 July and The Oak was the time and place for those that could make it. There was a special offer on this month so ten of us enjoyed a very reasonably priced meal. Back to an amble followed by coffee next Tuesday. View the pictures in the following slideshow. 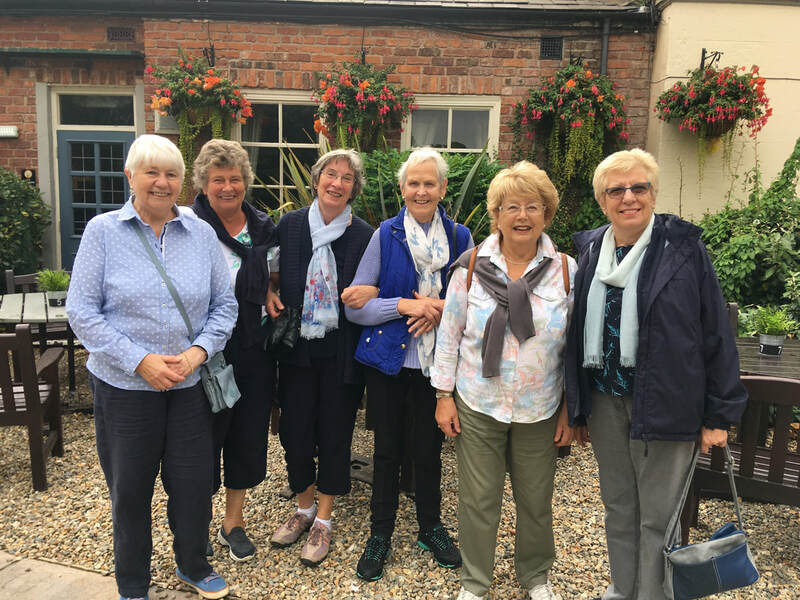 Tuesday 21 August saw the amblers revisit Nantwich for a short walk followed by coffee and a shop. Ro and Ethel joined us for our excursion making a total of 9 plus Meg the dog. As you will see from the attached photos the flowers are still in full bloom in the town centre and the sight of them certainly contributed to making a happy morning. Today saw 7 of us walk from Waverton to The Cheshire Cat for a coffee. There was lots to look at on the way with geese flying overhead and swans ; moorhens and numerous ducks enjoying their swims. There was, as always, lots of chatting and it was quite a surprise when we reached our coffee stop. We all enjoyed it very much and look forward to our get together next week. Our final planned walk of the season took place today at Little Bedworth. It was a short walk because of the cold weather but we enjoyed ourselves and then sat by a nice fire at Abbeywood for our our coffees. For a variety of reasons our numbers have dwindled but hopefully we will have a resurgence any day soon ! 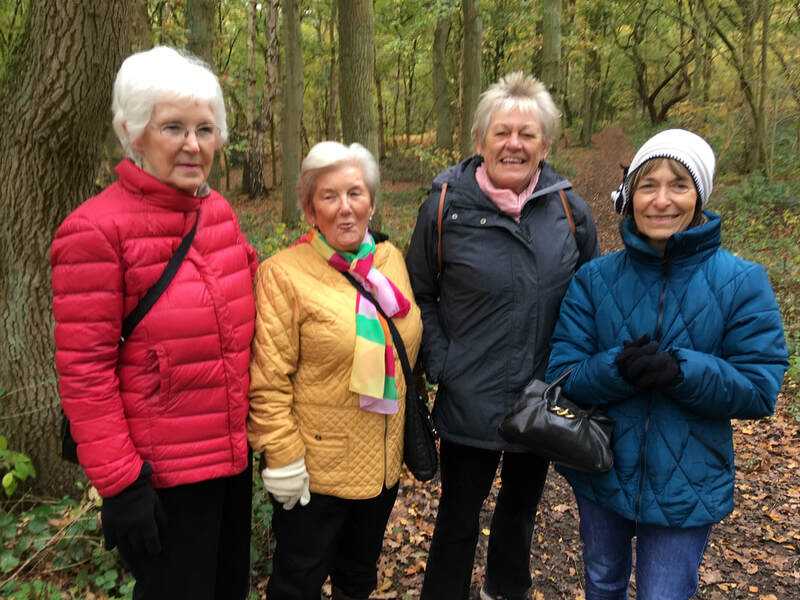 We will be meeting each Tuesday in November but the walks will be spontaneous rather than planned . The first Tuesday in December we will be at Kaths for coffee, mince pies and possibly a glass of sherry. 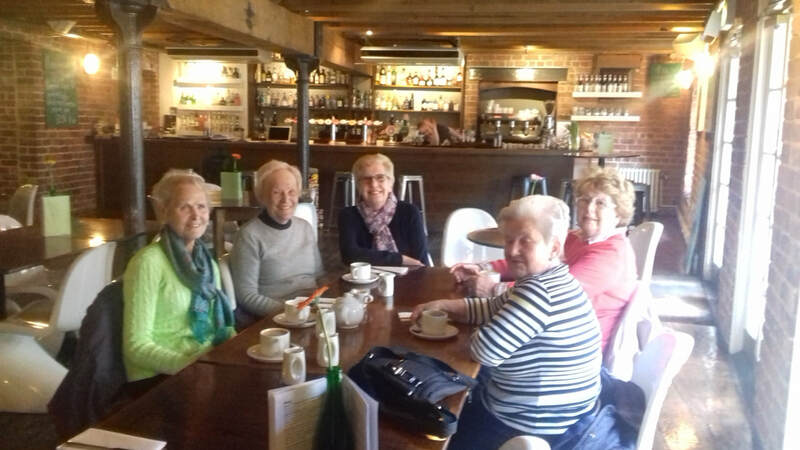 The amblers met today for Christmas lunch at their favourite place. Where is that............Okells , of course ! 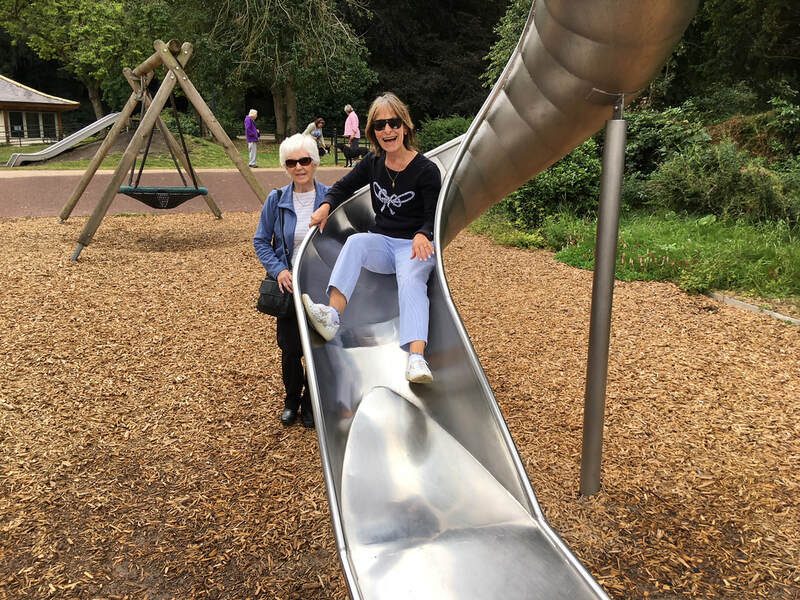 A very jolly time was had by all , as the following slideshow shows .